This is a wonderful, visually appealing PowerPoint that covers Roman History from the First Triumvirate of Caesar, Crassus, and Pompey through the death of Mark Antony and rise of Octavian. Each slide includes fantastic images and graphics that will definitely hold your students attention and keep them focused on your lesson. Topics covered include the rise of Julius Caesar, Pompey and the Senate's plan to bring him home, his crossing of the Rubicon, the civil war, his relationship with Cleopatra, his assassination, and much more. It concludes with an open-ended exit ticket that has students thinking critically about the things they learned. I assure you, this is a really beautiful PowerPoint that works well with all groups of students! You can download it for use today. Thanks for looking! This is a beautiful PowerPoint presentation that covers the most powerful African Empires from 300-1600. These wonderful, visually engaging slides cover the empires of Axum (Aksum), Ghana, Mali, Great Zimbabwe, Songhai, and more. The lesson includes maps, as well as fantastic pictures that highlight the beauty of Africa and the accomplishments of these kingdoms. All of the notes are simple for students to understand and highlight the essential things students must know based on state and Common Core Standards. 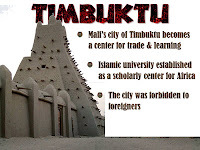 The PowerPoint concludes with an embedded Youtube video on the influence of Islam on these empires and an exit ticket for students to complete. Thanks for looking! This is a visually engaging PowerPoint lesson on the rise of the Franks and Charlemagne during the Middle Ages. It covers the rise of Germanic Kingdoms, Clovis I, Charles Martel, Pepin the Short, Charlemagne, the Holy Roman Empire, and more in 15 beautiful slides. Each slide features a wonderful picture, map, or graphic that will captivate your visual learners and keep students focused on the lesson. All notes are easy for students to understand and help break down difficult concepts simply. The PowerPoint concludes with a fantastic 9-minute embedded YouTube video on Charlemagne. The combination of visuals, notes, and the video make this a very powerful lesson that your students will learn from and be engaged in. You can download this entire lesson by clicking here! Beverly Hills Cop Test Review Game! This download is one of my favorite activities to do as we review for our state assessments every year! It is an amazing way to “trick” students into taking a test and working together! Best of all, this lesson can be used for any subject and any test! Included is a directions sheet, answer sheet pages for 25, 50, and 100 question tests/games and a directions page. 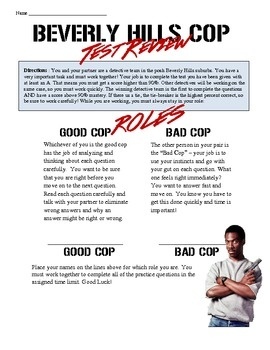 The Beverly Hills Cop Review game has students placed in pairs with a "good cop" who analyzes each question carefully and a "bad cop" who wants to go with his gut and answer each question as quickly as possible. Working together they have to race to complete a test and score above 90%. It creates a wonderful lesson on test-taking strategies and using cooperative learning to prepare for a state assessment, final exam, or any major test! You can download this lesson here for use in ANY class and ANY subject! 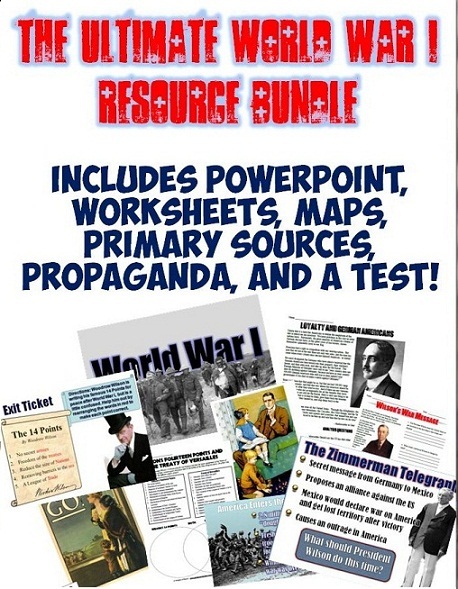 Check out this link for more great review activities, packets, bundles, and games. I've been working hard lately to build up my resources for ancient history and have recently posted three new items. All three will be available this weekend for just a buck! After that, they'll all still be available for a great price! The first is a creative project to help students understand the accomplishments of the great Byzantine Emperor Justinian I. Students create campaign posters as if Justinian was running for president of the United States that highlight his accomplishments as Emperor of the Byzantine Empire. These can be created on poster paper or electronically using Glogster. Next is a primary source account of how children in the Greek city-state of Sparta were raised to become the fierce warriors they are famous for being. The 1-page excerpt from The Lives of Plutarch has been edited so that it is easy for students to understand and relate to. It tells of the many incredibly difficult things children in Sparta went through to become soldiers and how harshly they were treated. Finally, I added an excellent, easy to understand history of ancient Egypt's 3 major periods: the Old Kingdom, Middle Kingdom, and New Kingdom. 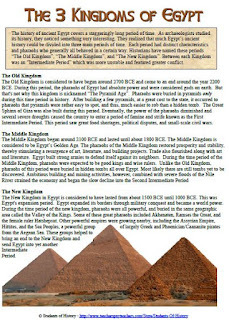 A short paragraph explains the key characteristics of each one, including the pyramids, pharaohs, and why each came to an end. After completing the reading, students analyze a list of characteristics and place each under the Egyptian kingdom that it best describes. Remember, each of these is just $1 through this weekend! 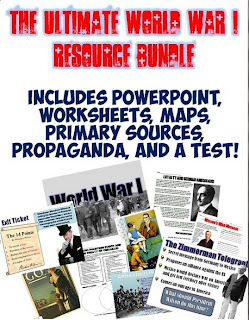 You will be able to find more ancient history resources as I add them here. Thanks for visiting and as always, please let me know if you have any questions! Thank you to everyone who visited our store during the 2 day Teacher Appreciation Week sale! It truly was a great week. Our school had a nice surprise for us each day and I hope each of your schools did the same! I realized how busy I was all week though and that many teachers might not have had a chance to really explore and find the resources they need. With that in mind, I decided to extend the 20% off sale on every item in the Students of History store through tomorrow! Hopefully this gives every teacher out there an opportunity to find a n amazing new resource for your classroom! 1. 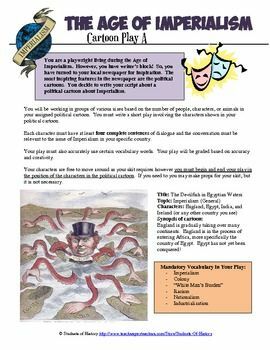 A fantastic lesson on the Age of Imperialism in which students write and act out scenes based on primary source cartoons. 2. A really cool lesson on Empires of the World in 1500 that features a printable map, PowerPoint of notes, set of readings, and hand-on building project for the major world empires at 1500. 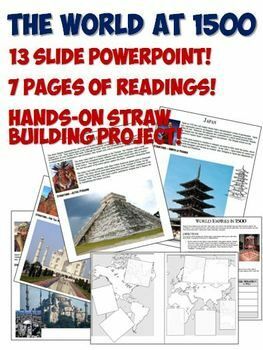 Students in this lesson create models of great building projects using straws and tape, including the Taj Mahal, Great Wall of China, and Suleiman Mosque. 3. 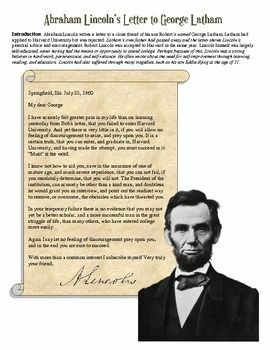 Lastly, here's an awesome FREE lesson I created using a primary source letter of Abraham Lincoln's in which he writes about the importance of education and hard work! Thanks for visiting and best of luck through the end of the school year! 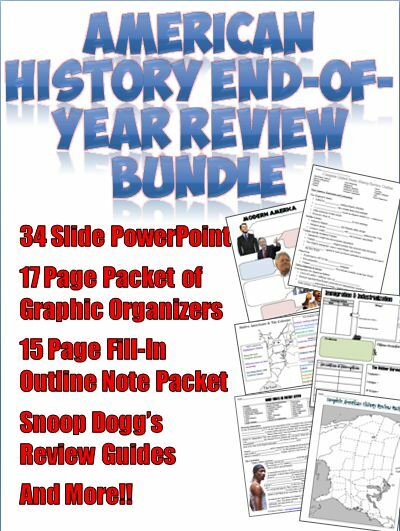 New for Teacher Appreciation Week - Snoop Dogg's World History Review! This fantastic, hilarious cloze reading activity covers 77 major vocabulary terms from the World History topics of the Renaissance, Reformation, Age of Discovery, and Absolute Monarchs. "The bootylicious wealth amassed by _____________ weakened tha' church’s authority in Italy. The Catholic Church was also seen as ___________ due ta tha' sale of _____________, which forgave yo sins fo` a price. This was seen as a way ta buy yo way into ____________ , ya feel me?" 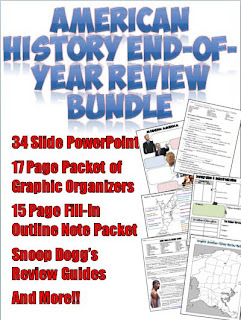 My students absolutely LOVE these Snoop review guides and laugh their way through completing them. I know it helps them to remember these key concepts as I hear them quoting it afterwards. It also requires a little more concentration, which increases their reading comprehension. You can download this today to review before your state assessment, final exams, or to go along with each of these units as you cover them! It's finally here! For over 200 days a year teachers work countless hours and weekends stressing over lessons plans and grading piles of paper with scarcely a thank you from any student. But today I hope every teacher out there feels the love and appreciation that is due to them. Whether its from your students, administration, parents, or even just a free sandwich from Chick-fil-a or burrito from Chipotle - you deserve it! As a small thank you from me, everything in the Students of History store is 28% off with the promo code TAD13 at check-out. I added and updated many items - including the most-wish-listed item - One Year of Daily Warm Up Questions or Exit Tickets for American History! This amazing PowerPoint was recently updated so it is now up to 120 SLIDES! Each slide features 3-4 questions that engage students and connect to prior learning. All the slides are beautifully arranged with fantastic pictures, maps, and graphics. They cover every major topic in US History from the first colony at Jamestown through President Obama. A wonderful way to engage students the minute they walk into your classroom. This is something you can use every day throughout an entire school year and on sale now for just $5.59 through tomorrow along with countless other items! Happy Teacher Appreciation Day! I hope every teacher out there has had a great start to the week! I came in to work this morning and our AP had an amazing breakfast spread out for us in the workroom! Definitely makes for a great start on a Monday. As a thank you to all the teachers who have followed me here, on Facebook, Twitter, and on TpT, I created a Flash Freebie of my #1 Best Selling Item! This amazing true story of child labor during the Industrial Revolution is normally $1.99 but will be free through noon today! It tells the short, gripping story of a 10-year-old girl who worked in a factory during the Industrial Revolution and how she met a grim fate due to the factory's horrible working conditions. Be sure to head over to my store and download it today! After 12 pm today it will go back to its regular price. However, starting tomorrow through Wednesday ALL products in my store will be discounted 20% PLUS you can use the TpT Discount Code TAD13 for an additional 10% off! Thank you teachers for all that you do!! Chipotle as well is offering buy one get one free burritos and bowls to teachers with a valid ID as well on Tuesday! Tough choice as to which I'll pick! I wanted to show my support as well and will be offering different discounts and freebies all week long! To start off the week today, ALL of my bundled items are on sale for 20% off! Other items will go on sale throughout the week! These bundles are already designed to be money-savers with lots of added resources included not on TpT! Just a small thank you to all of the amazing teachers out there for all that you do all year long for your students! As you see, TpT is offering an additional sale later in the week, but I wanted to get the week started right away! Super Secondary Lesson Plan Giveaway! This week, I am taking part in a Super Secondary TpT Giveaway! 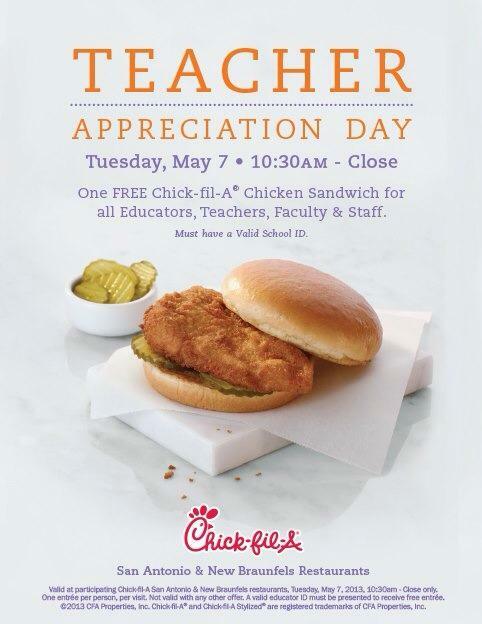 Just in time for Teachers Appreciation Week! My most requested, wish-listed item is part of the giveaway - A Year's Worth of Daily Warm Up Questions for US History! This giveaway features 40 Prizes from the top secondary level teacher stores on TpT. There will be ONE Grand Prize Winner. Please see here to enter for your chance to win! This conetst is being hosted and run by the fantastic Danielle Knight (Study All Knight) and Brittany Wheaton (The SUPERhero Teacher), who are also giving the winner a $10 TpT gift certificate to each of their stores! Be sure to check out their sites and register for your chance to win! This is a truly amazing, visually-engaging 26-slide PowerPoint presentation on the key events, people, and challenges of the Civil Rights Movement. Each slide is beautifully arranged with excellent pictures and focused text that gives students essential information in a simple way for them to understand what is important. It includes fantastic quotes from Civil Rights leaders like Martin Luther King, Jr. and Robert F. Kennedy as well as 3 embedded Youtube videos, political cartoons, a warm up, and an exit ticket. The lesson highlights the accomplishments of Rosa Parks, Martin Luther King, Jr., Malcolm X as well as focusing on their methods for achieving change. Events covered include the March on Washington, Civil Rights Act of 1964, Voting Rights Act, and 1968 Summer Olympics. Your American History and Civics students will definitely realize the power of these amazing people and be able to see and hear their inspirational words with this lesson. This is definitely one of my students' memorable classes from the year. You can download this amazing lesson plan for your students by clicking here! It is only $4.99 for teachers everywhere in my Teachers Pay Teachers store!